Automotive, airlines, land and off-road vehicles security encompasses a wide range of best practises and experience. At Piher we provide cost-effective solutions that are remain accurate through time. 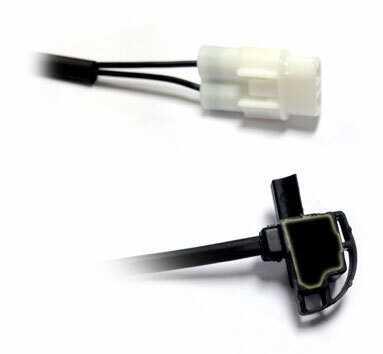 Based on contactless (non-contact / wear-free) hall effect working principle, we provide custom reed switches sensor detection assemblies that afford superior performance detecting when a seat belt tongue has been engaged even under extreme environments and challenging conditions such as dust, dirt, high vibration, extreme temperatures, etc. Only two wires and no external magnets or moving parts are required, thus saving space, time, cost and set-up operations for seat belt buckle reminder sensing. Piher customizes the sensor / switch solution to fit into the customer´s buckle own design. Fully sealed and with virtually unlimited life (maintenance free), the sensor will detect when the buckle metal part is insterted and will reliably change its state from open to closed or viceversa. Full costumisation is available including electrical and mechanical characteristics, size and integrated connectors. Other seat positions sensors and security-related airbag controls have been developed by Piher. With over 40 years serving to most of the car brands, the pursuit of the most cost-effective total solution for your needs is firmly embedded in our business philosophy, so whatever your requirements may be, be sure that Piher will deliver. Seat belt hall switch manufacturer. Seat belt magnetic reed switch manufacturer. Seat belt buckle microswitch for harsh environments atmospheres. Off road vehicle seat belt switch. Retractable seat belt safety switch. © Piher Sensors & Controls - Legal - To bookmark this site, click Bookmarks | Add bookmark or press Ctrl+D.